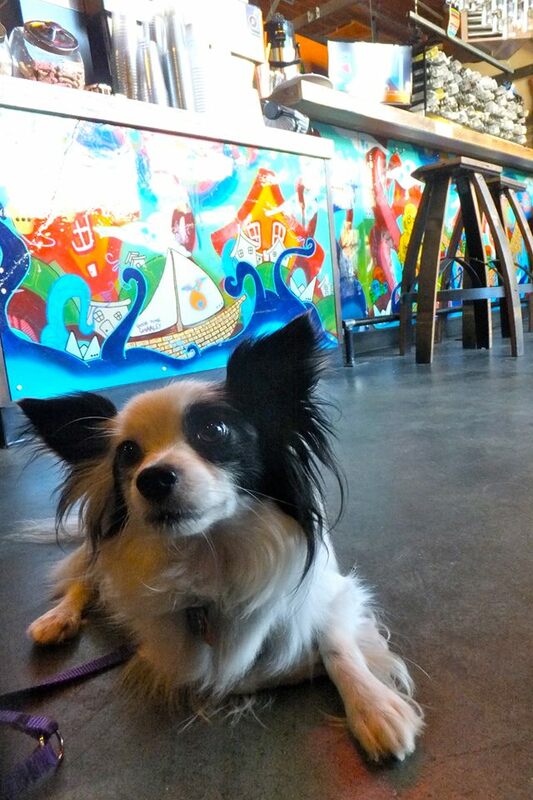 UPDATED TO ADD: Readers have recently shared that Kiss Cafe is not always dog-friendly. Please inquire with the staff. We had heard, but we still haven’t been. 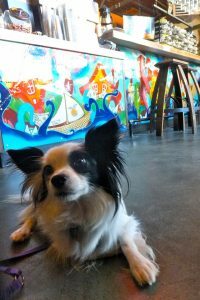 Considering that Kiss Cafe’s reviews on Yelp are stellar, and they serve breakfast all day, I think a trip to Ballard is in our very near future. 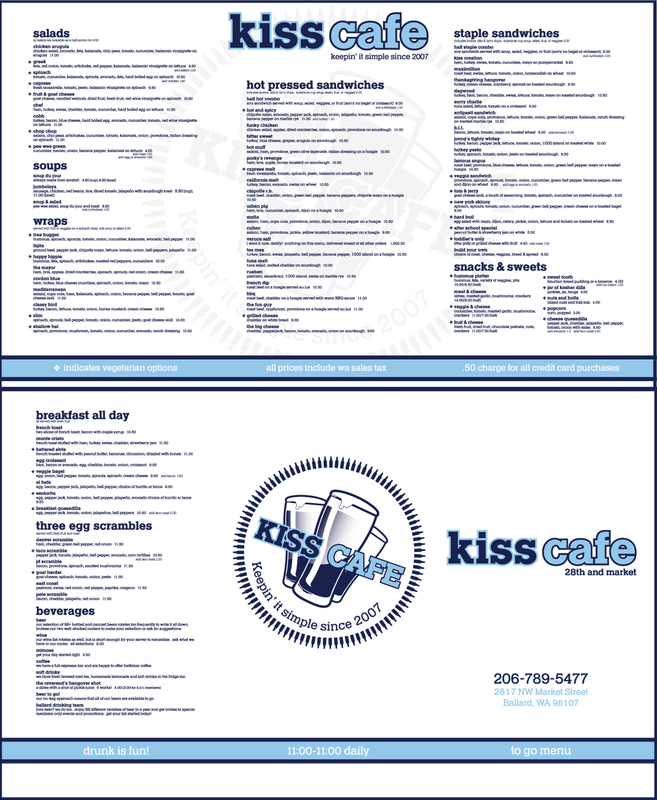 Check out the menu! Doesn’t everything look scrumptious? Great site – appreciate it – thank you! Oh thank you for letting me know this Scot, sometimes it is bartender dependent, and sometimes it changes over time, but I will update the Map!